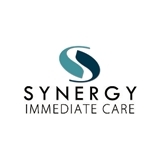 Synergy Immediate Care (Tysons) - Book Appointment Online! We are a family-owned medical practice located in the Tysons section of Vienna, VA, in close proximity to Tysons Corner Center and the Metro. We consider ourselves to be a hybrid clinic. By covering all of our patients' primary care and urgent care needs, in addition to select specialties like endocrinology and psychiatry, we are able to provide a comprehensive level of care. In addition to offering appointments, we accept walk-ins for both routine care and sick visits. Our clinicians' emphasis is on the delivery of care and the well-being of our patient. With this patient-centered approach, our focus is solely on you. So whether you're looking for a new primary care doctor, need a routine check-up, need specialty endocrinology or mental health management, or have an acute issue after other clinics have closed, our experienced, caring providers are here for all your healthcare needs.